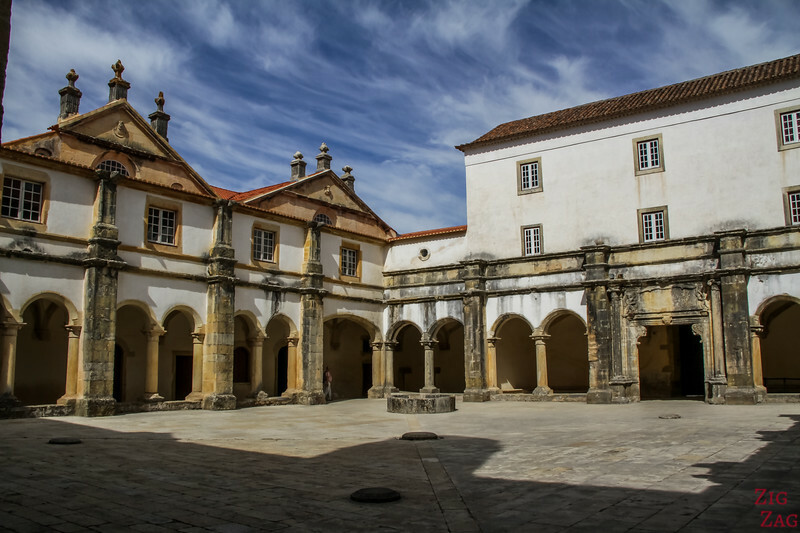 Discover the Magnificent Unesco site of Convento de Cristo Tomar Portugal. 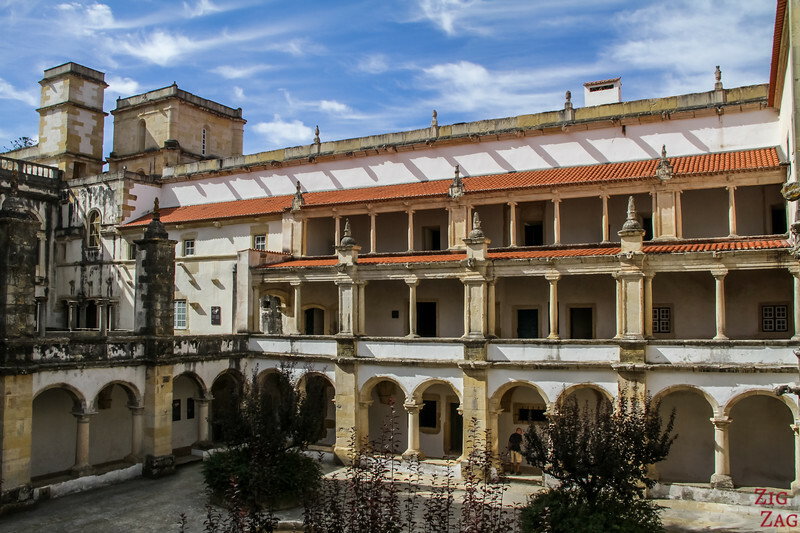 This fascinating Convent of Christ and castle have a unique atmosphere that will make you travel back in time. Have a look in photos and video! 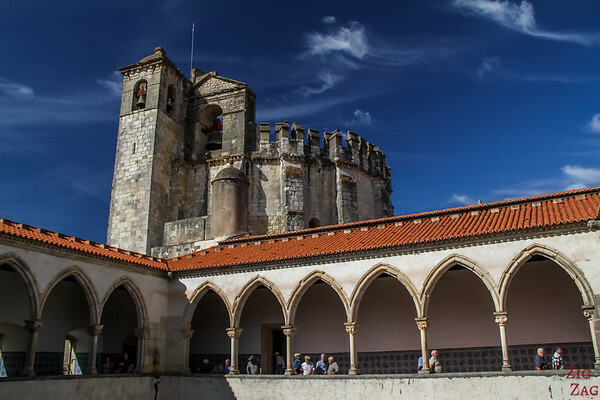 As you approach to town of Tomar, you can admire the impressive Convento de Cristo with the more rencent facade, the older church sticking out and what remains of the Castelor de Tomar (Tomar castle). 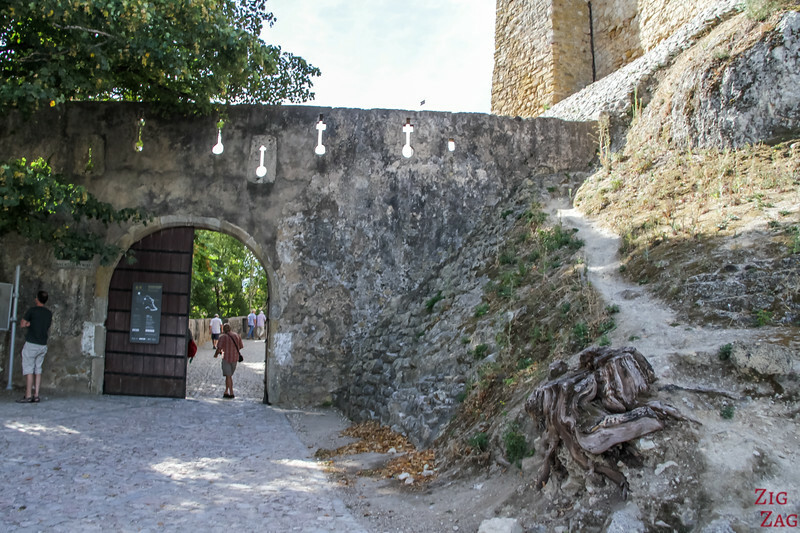 The entrance is via the castle side. Information and a large map is available near the gate entrance. Access to the garden is free. 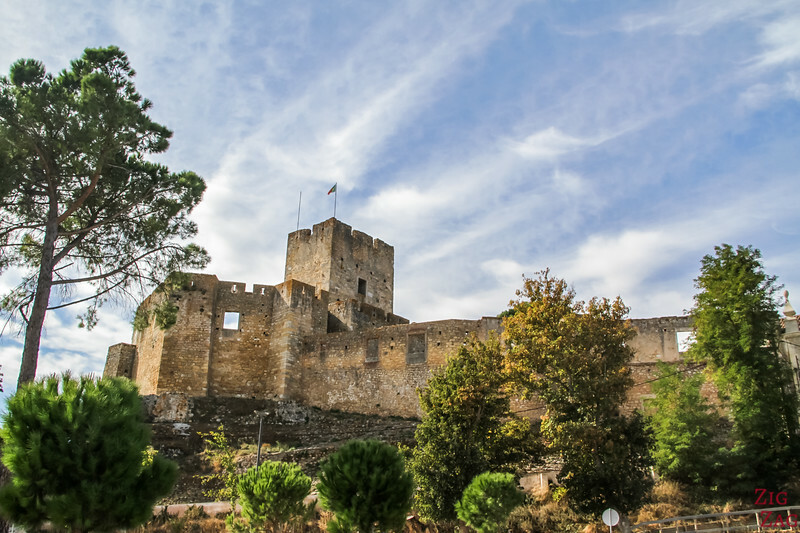 The Tomar Castle is also called Templar Castle (Castelo dos Templarios). It was built in the 12th century at the strategic location over a hill. You can still see the outer wall and the keep inside. It is one of the oldest keep in the country, a novelty introduced by the Templars. 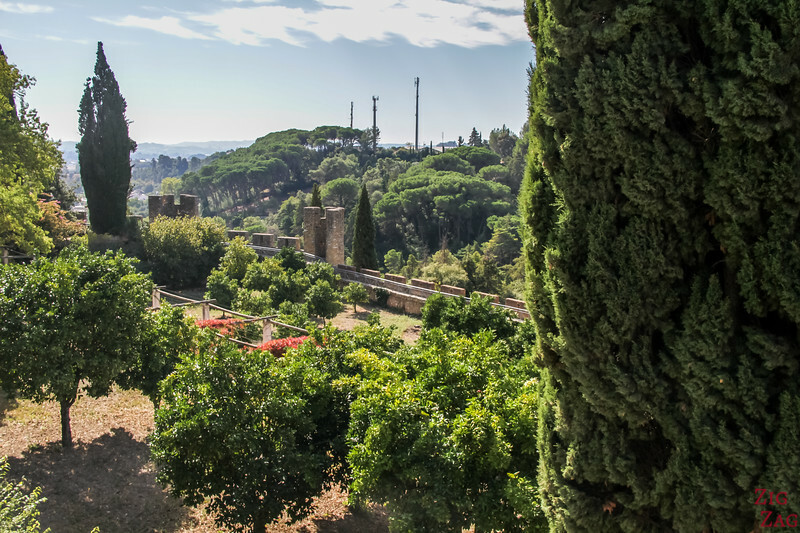 Inside the castle wall, you discover the small gardens with a beautiful view of the 12th century church and a glimpse at the main cloister behind with its heavily sculpted decor. 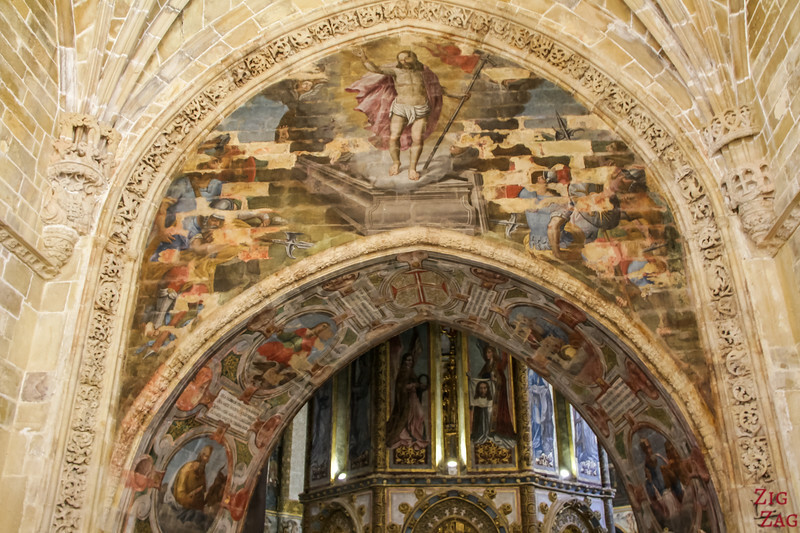 Convento de Cristo : History & so much to see! 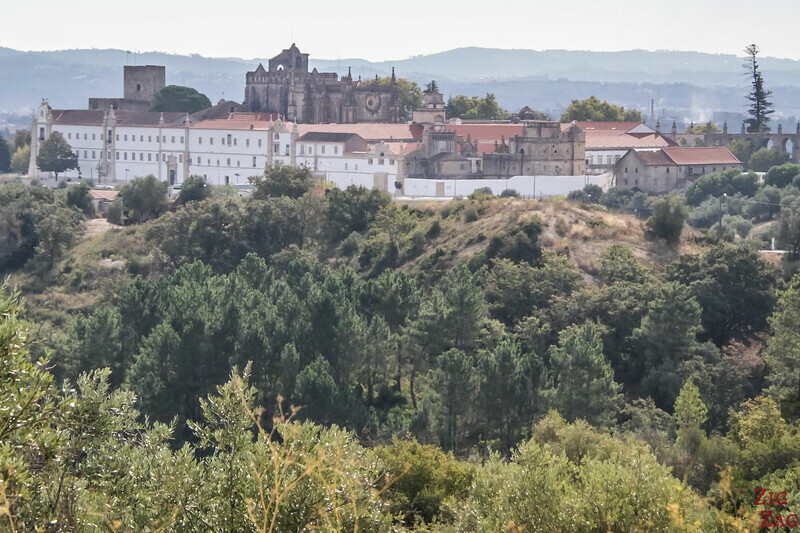 Of all the incredible monasteries in Portugal (e.g. 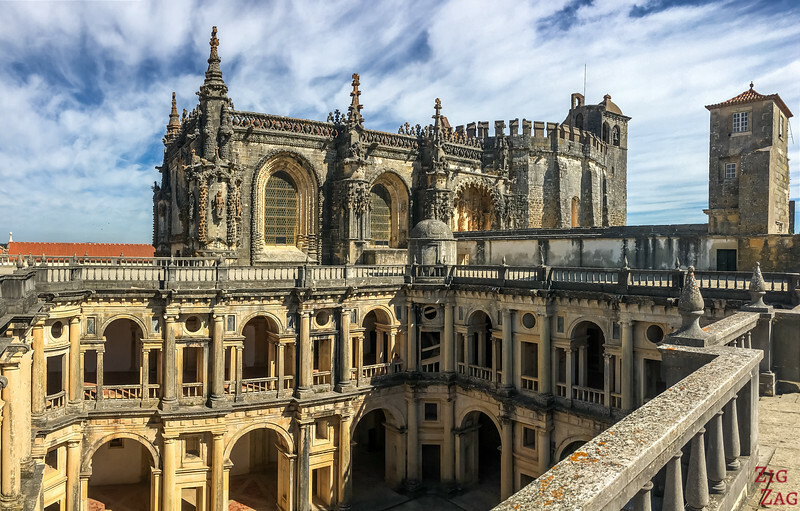 Jeronimos Monastery, Alcobaca Monastery, Batalha Monastery...), Convento de Cristo Tomar was my favorite. 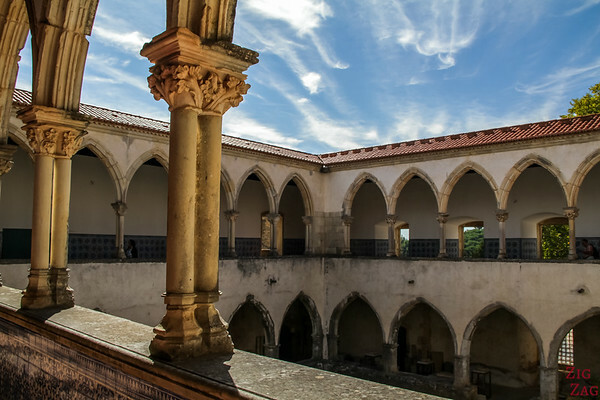 It has neither the most beautifully balanced and decorated cloisters nor the best views, but it definitively has the best atmosphere. 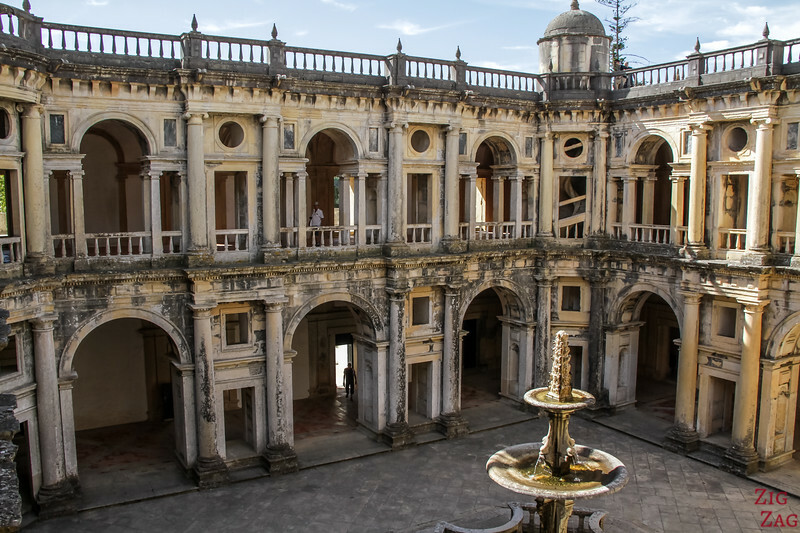 There is so much to see from various period of history. It is quite a labyrinth and you will learn more about how people were living there. It was not just 'pretty', you can feel the history. 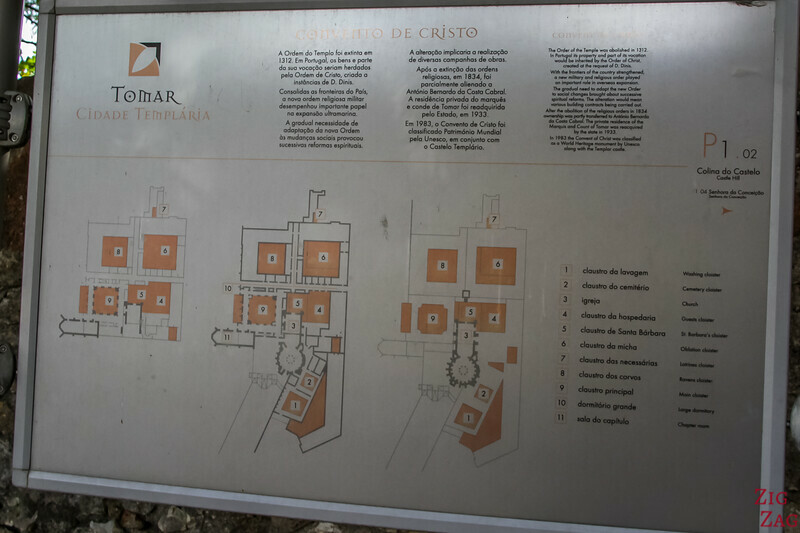 Near the gate entrance, there is a map of the Citadel. 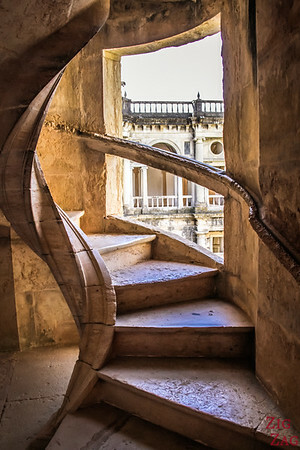 There is a lot to see with a lot of stair. So wear good shoes! 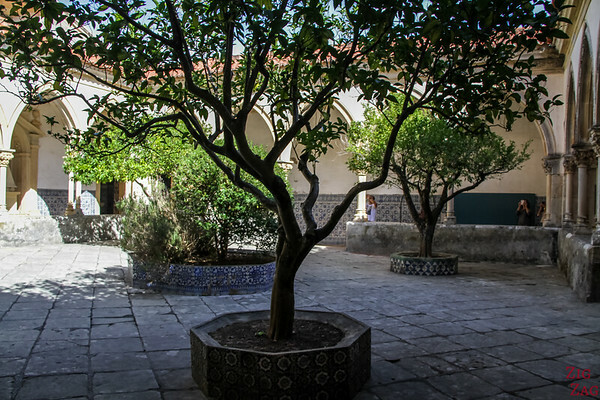 Once you pay the entrance fee, you first discover a small cloister with a lot of charm. 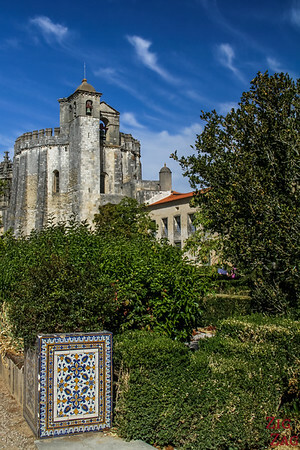 Built in the 15th century and remodelled at the beginning of the 17th. It was the ground for religious processions. This 2 story-cloisterwas where the Monks garments used to be washed. 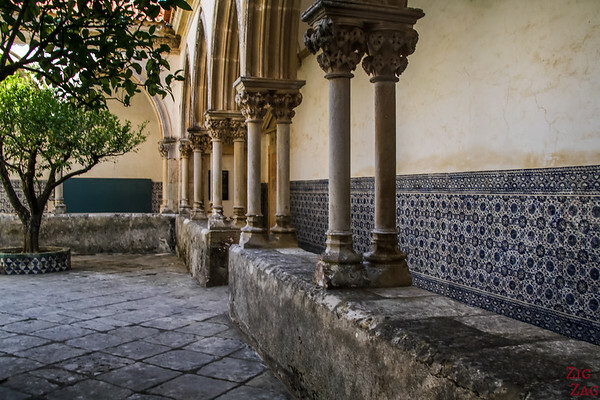 Built in the 15th century, It has beautiful arches all around with simple carvings of leaves. And the beautiful blue tiles everywhere! 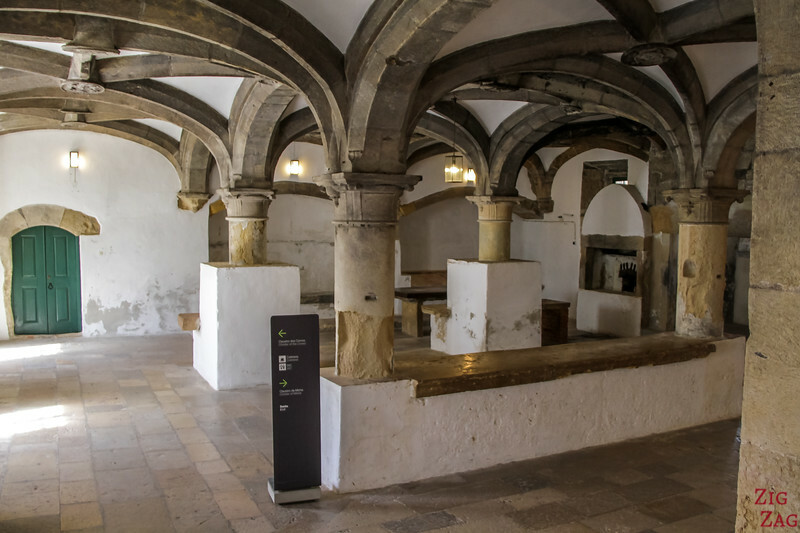 As you tour the Washing Cloister, you can enter smaller rooms. 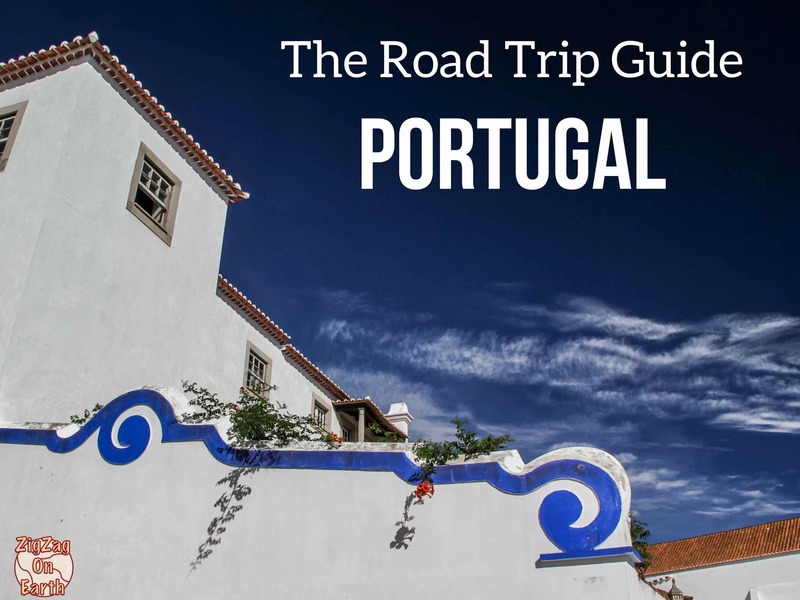 The Chapel of Antonio Portocarreiro, his whife and children was built in 1626. 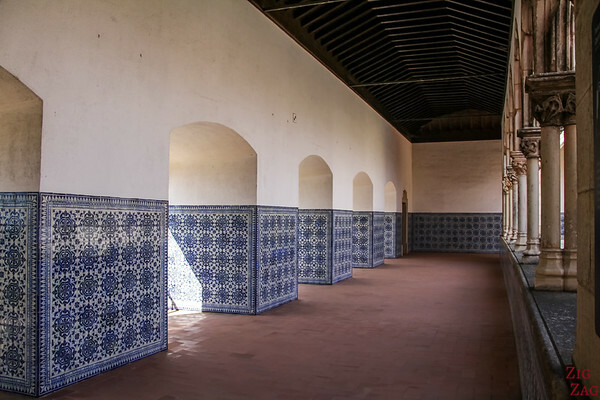 The walls are covered in Azulejo tiles. 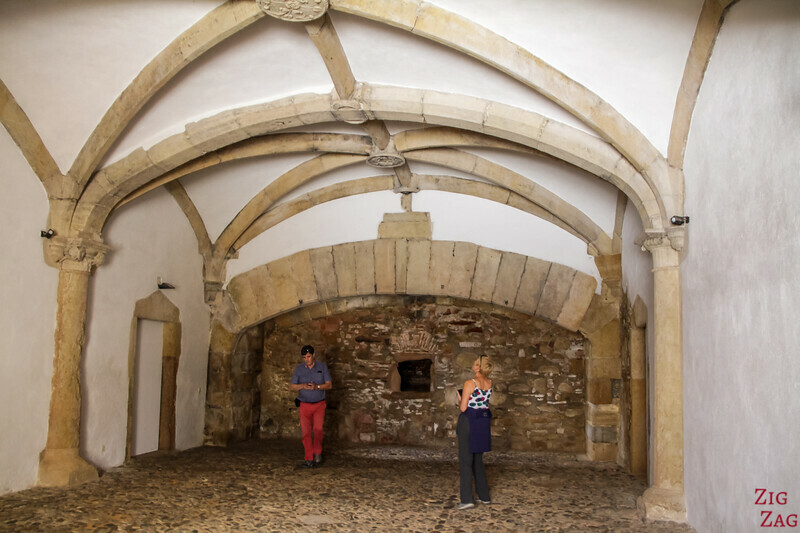 The old Chapter House was transformed into the new sacristy in the 16th centry. I found the ceiling particulary fascinating. Prince Henry, who was administrator of the Order of the Christ lived in the convent during the 15th century. 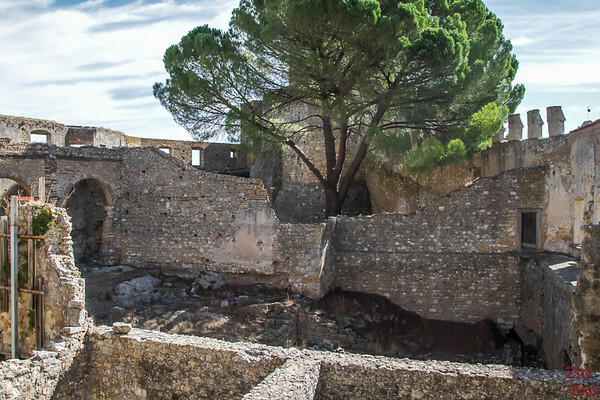 From his old quarter, you have a view over the ruins of the old Castle. 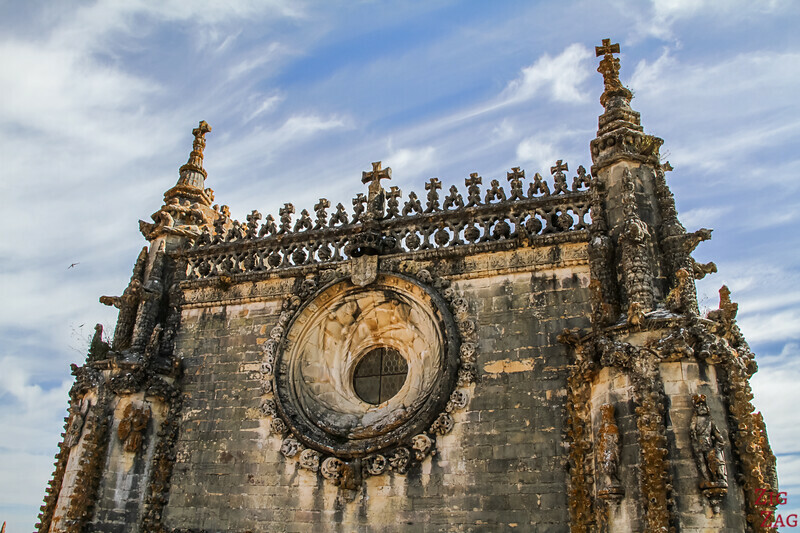 The round church is one of the main features of the Convent of Christ. 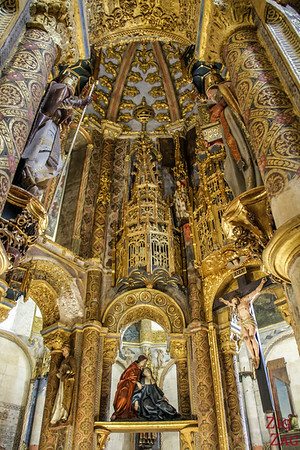 You can see the upper choir or get to the ground level and admire the heavily decorated Charola (or rotunda). 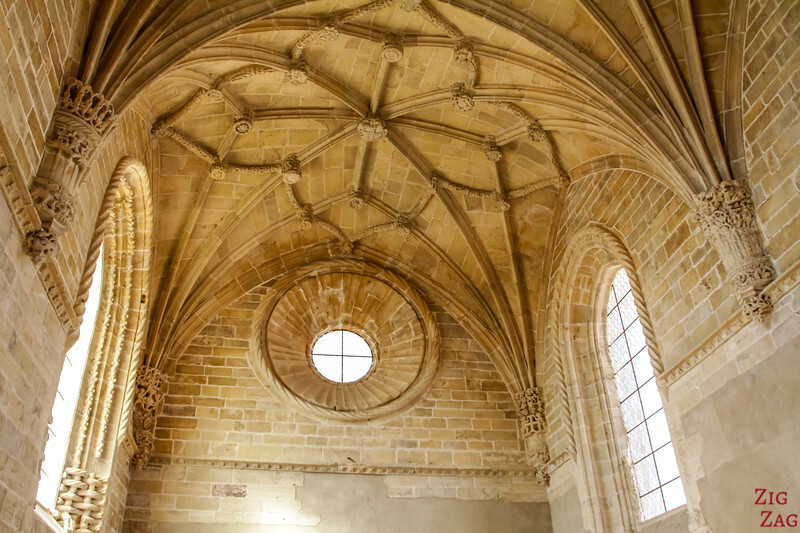 The nave of the church was built in manueline style during the 16th century. 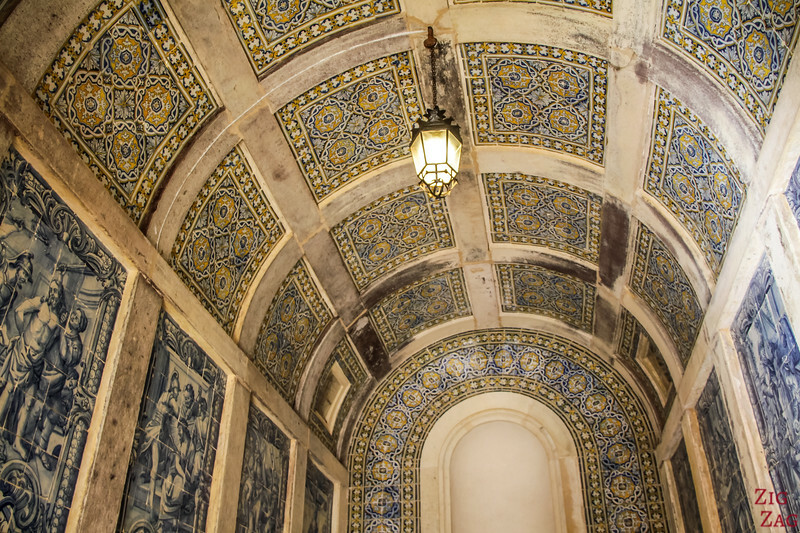 it joins the rotunda by a beautiful arch opened in the wall of the old oratory. 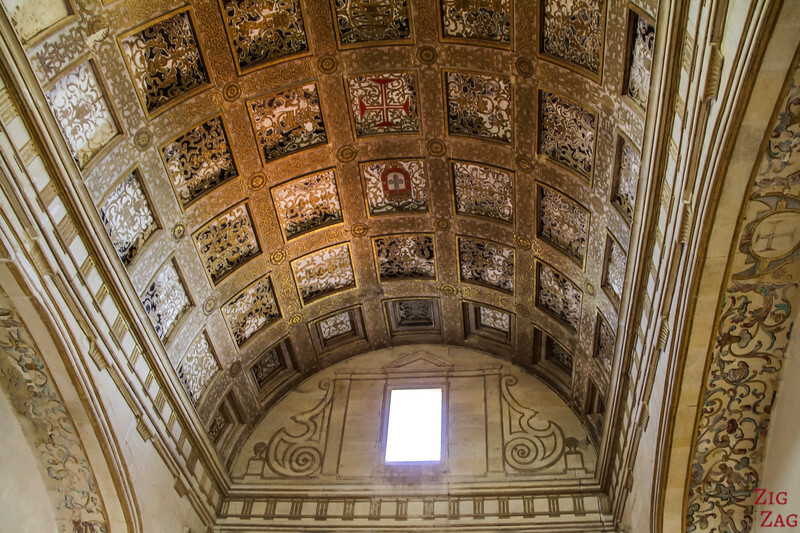 The Charola or Rotunda dates back to the 12th century. 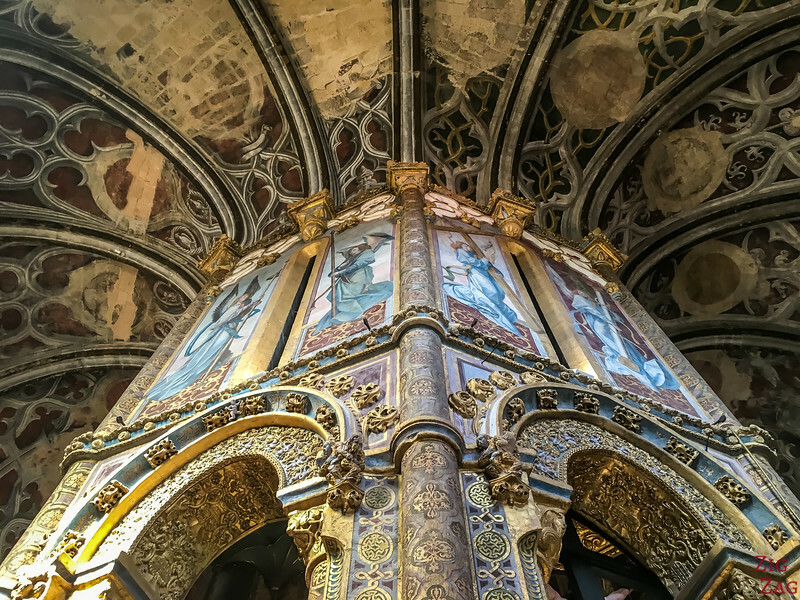 Originally it was a fortified oratory inspired by the Temple of Jerusalem. 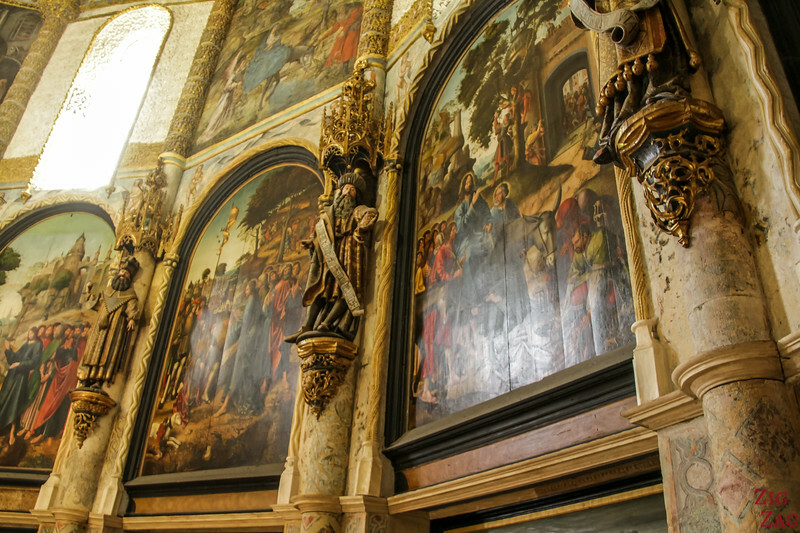 A lot of the decor comes from the 16th century as it was commissioned by King Manuel. 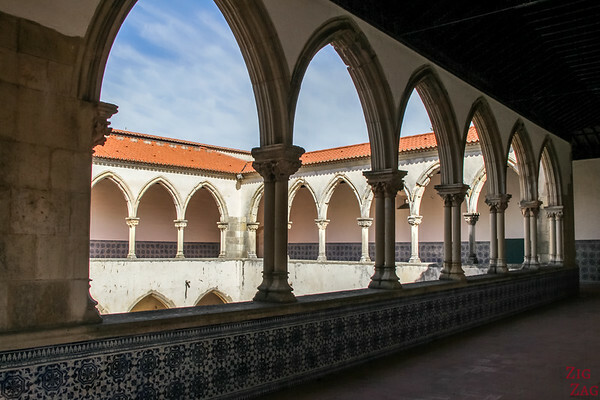 My favorite part of the visit was the exploration of the main cloister. 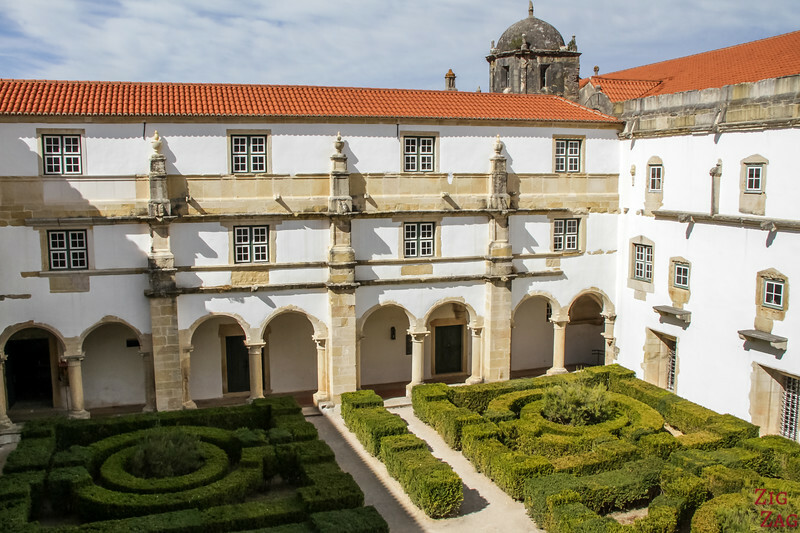 Started during the 16th century this is the main construction of the new convent after the Reform of the order of Chris (1529). It was modified in the 16th century. You can explore both floors and the rooftop. 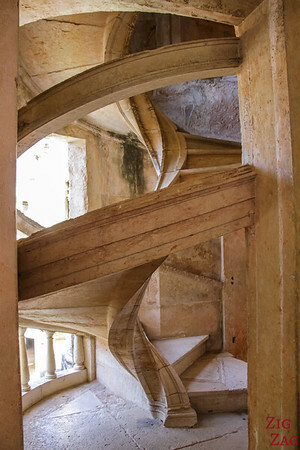 Stairs are located at each corners and are beautifully sculpted. 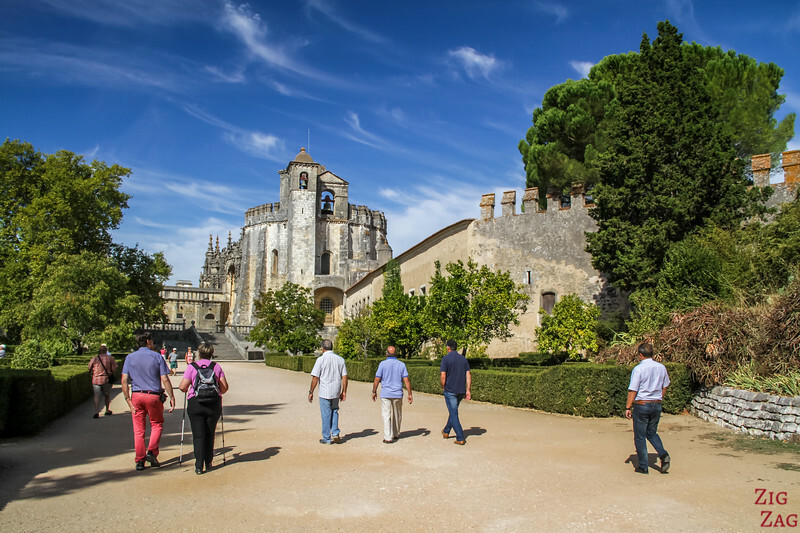 A visit to the Convento de Cristo is not all about architecture. You can discover the living quarters to see how people used to live. 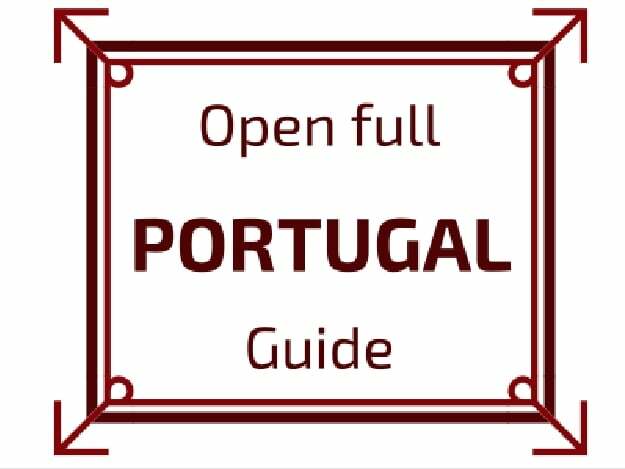 No mannequins and displays but impressive corridors and rooms for the collectivity. 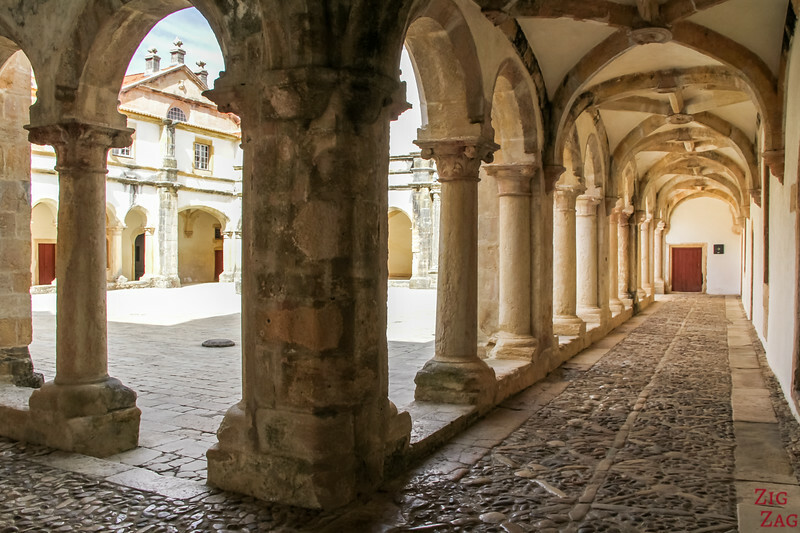 Even more cloisters to discover as you continue your visit of the Convent of Christ in Tomar Portugal. A very different style from what was seen before! 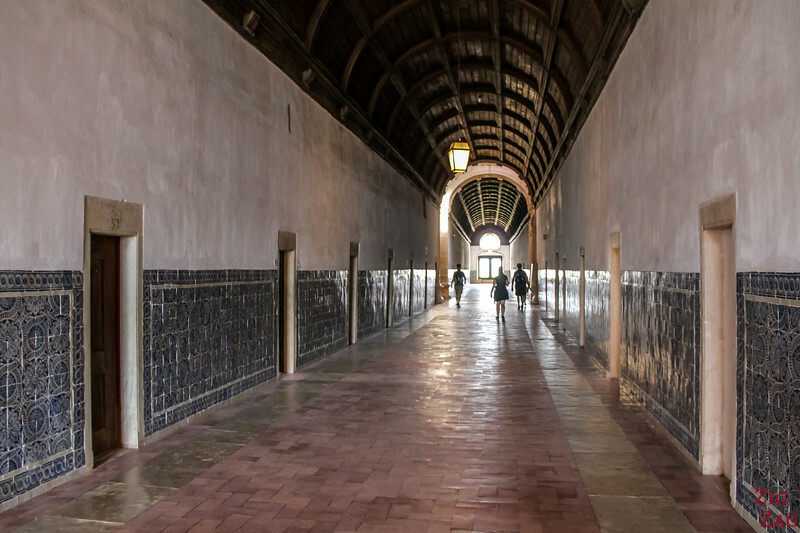 This was a very active par tof the convent with many rooms and offices. 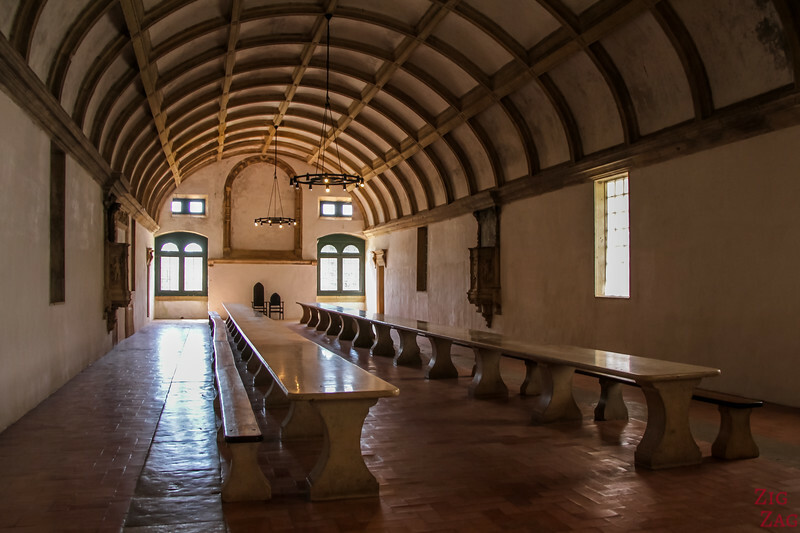 I really enjoyed the atmosphere of this part of the convent. I hope they won't restore too much. 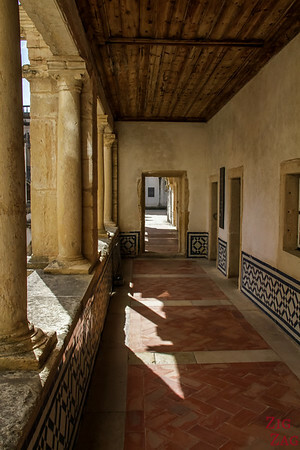 And Finally the Cloister of Micha with beautiful perspective and an interesting flooring. 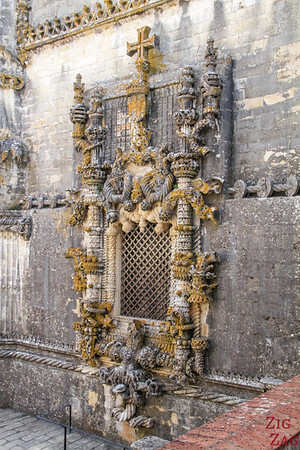 The 16th century portal leads to the outside. It takes its name from te bread ration that were handed to the poor here. Are you inspired to visit it?